Welcome, Karyn Pearson! What made you decide to start writing? Was this something you always thought you’d do? When I was eight years old and reading Harry Potter for the first time, it occurred to me that writing books was an actual career, which I thought was pretty cool to do. When I was eleven, I started writing Harry Potter fanfiction, and to my surprise, I really enjoyed writing. I've been writing ever since. In that sense, yes, I do think it's something I've always thought I'd do. It's been my childhood dream! Honestly, I don't know how characters or story ideas come together. I'm inundated with so much pop culture that after a while, random elements throw themselves together and they happen to be character ideas or story ideas. Take for example, how I first came up with Ardentia, the main character of the Hellfire Trilogy. 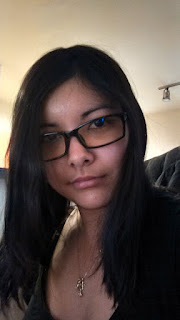 At the time, I'd been watching a ton of reruns of the CW TV series, Supernatural, I'd also recently seen the Hollywood adaptation of the graphic novel, Priest, and I was stuck on the character creation screen for a new fire mage in the MMO, Dragon Nest. The character avatar had red hair and red eyes, and I wanted her to have a fire-themed name. So I took the root "ardent" and femmed it up a little by adding an "-ia" at the end. Over time, I started to wonder why I'd made my character have such a unique look. Ultimately, Ardentia got a back story that helped build the post-apocalyptic world the Hellfire Trilogy is set in. Inspiration comes to me at the most random of times. Sometimes I'll be sitting in the car and see something interesting out the window, or I'll be reading a book, watching a show or a movie, and suddenly think, "Hey, you know what'd make a cool story? If I did . . ." Other times, inspiration strikes on account of book characters screaming in my head and demanding their stories to be told. If it's a particular story that I'm blocked on, I'll try to work on something else. I still have an ongoing Inuyasha fanfiction for this very reason (also I'm too stubborn to abandon it--I hate leaving things unfinished). Other times, I just try to rest my brain and do something different, since I typically get writer's block when I'm burnt out. So I'll go into a YouTube coma, binge watch anime on Netflix or Crunchyroll, play a ton of Guild Wars 2, or get dogsaulted by my adorable fur children. In time, my mental vacation helps me recharge my batteries and I can resume writing again. Right now, I'm in the paranormal YA and Adult urban fantasy genres. Though, I've got a couple sci-fi and horror story ideas rattling around upstairs. So who knows? Maybe I'll branch out into other genres. My favorite authors are J.K. Rowling, Rick Riordan, Suzanne Collins, and Susan Ee. In the manga world, my favorites are Kishimoto Masashi, Isayama Hajime, and Kubo Tite (names have been listed in Japanese tradition). I have been writing for thirteen years, since I was eleven years old. What are your stories about? Apart from life in an angel-demon post-apocalypse, I'm also working on a vampire story set in our present time where secret societies of vampire hunters and vampire factions coexist among normal people. Right now, there's nothing on the docket. But very soon, I'll be getting to work on the first book of my next series, Arcturian Bloodlines. When I'm not writing, I'm either reading, murdering manuscripts, playing video games, playing with my dogs, or just lounging around at home with one of my dogs using me as a head rest. 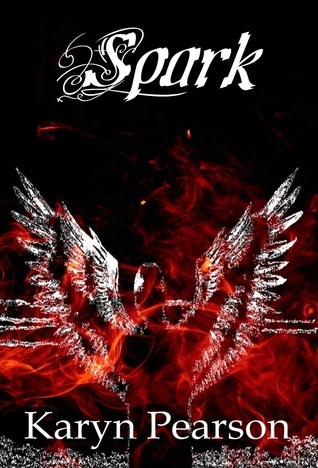 Karyn Pearson is the author of Spark (Hellfire Trilogy #1), Inferno (Hellfire Trilogy #2), and Arcturian Bloodlines. She is a full-time pet parent of her two dogs Nikki and Jamie. Karyn has a B.A. in Anthropology and has explored dozens of cultures in her studies, but has imagined countless more. She enjoys reading, playing action RPGs, and plotting the next adventure for her characters whenever she has a spare moment free of the dreaded and undefeated "puppy dog eyes attack." Her current projects include Embers (Hellfire Trilogy #3) and the first novel of a new vampire series. When she's not writing, Karyn can be found playing with her puppies or Googling various dangerous topics for novel research that make her constantly question why federal agents haven't yet knocked down her front door.